Closet staples are an important investment on every girl's closet. I love trendy tops and dresses as much as everyone else but I try not to buy too many or spend too much because they usually look dated in a year or two. Classic pieces on the other hand will always be in style. 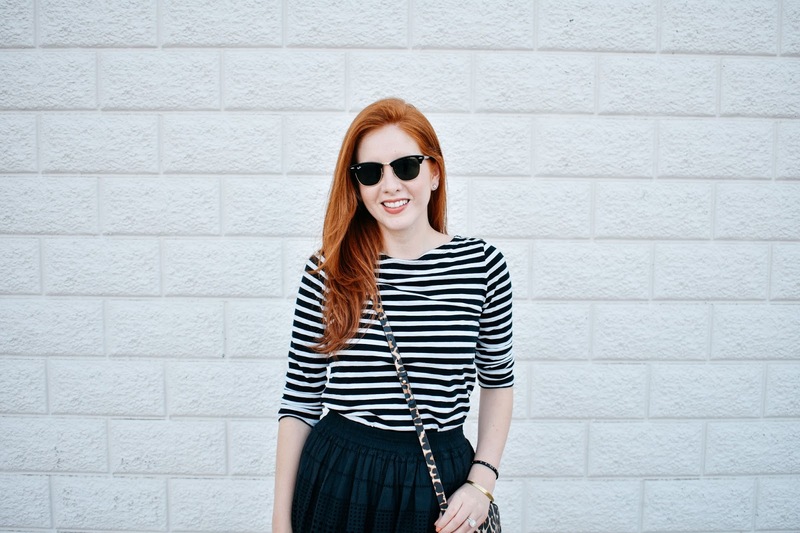 I've owned this black and white striped top for a couple years and have kept it on roation for every season. I paired it here with my black mini and Converse shoes for a casual look.I'm currently looking for a longer/work-appropriate black skirt but have not had luck yet. We usually do movies or some kind of errand running that involves coming in and out of AC so I always carry my green military jacket with me, I can just drape it over my shoulders and stay warm; it looked great with this outfit! We're going ot have a rainy week here in Austin, kind of looking forward to the crazy thunderstorms. They are one of my favorite things about living in Texas! This is such a cute look! I love the stripes and leopard! Love the pop of leopard print in your purse! Such a cute look. Love this loot, and stripes are one of my favorite. The print makes every look so chic. I agree! One can never own enough stripes! 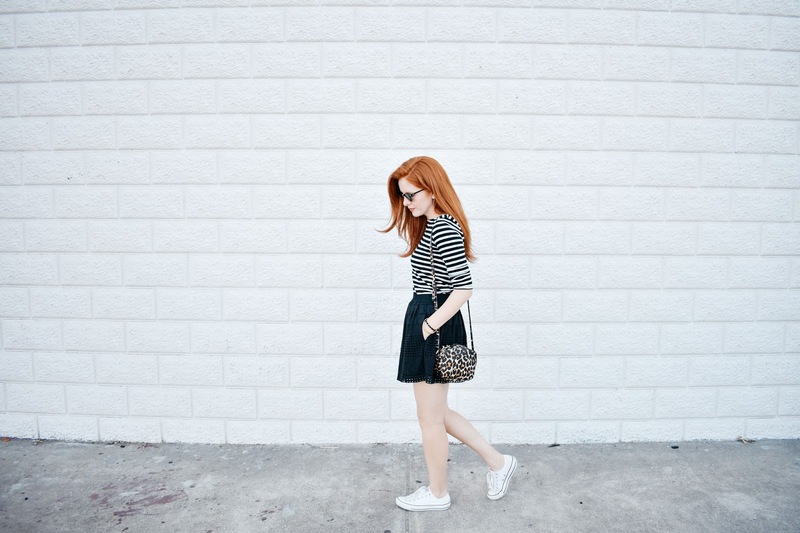 cute black and white look and love the leopard bag! Love the outfit dear! The purse is such a cute addition! I love thunderstorms as well! Happy Monday! You can never go wrong with a classic black and white look! Love this! love this whole look on you! great for pulling this one off! THOSE CHUCKS ARE PERFECT! Love everything about this outfit....the striped shirt, the skirt, and the sneakers. Perfect styling Nicole!